One of the most memorable moments of motherhood is seeing the first tooth erupt.  It’s a great excitement for us but not for the tiny babies! Teething pain is a given during this phase, and the best way to deal with it is to lessen the discomfort with home remedies. 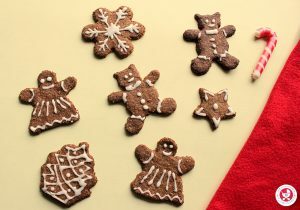 Among these, teething biscuits are a great option, since they can soothe the pain while also providing some nutrition. 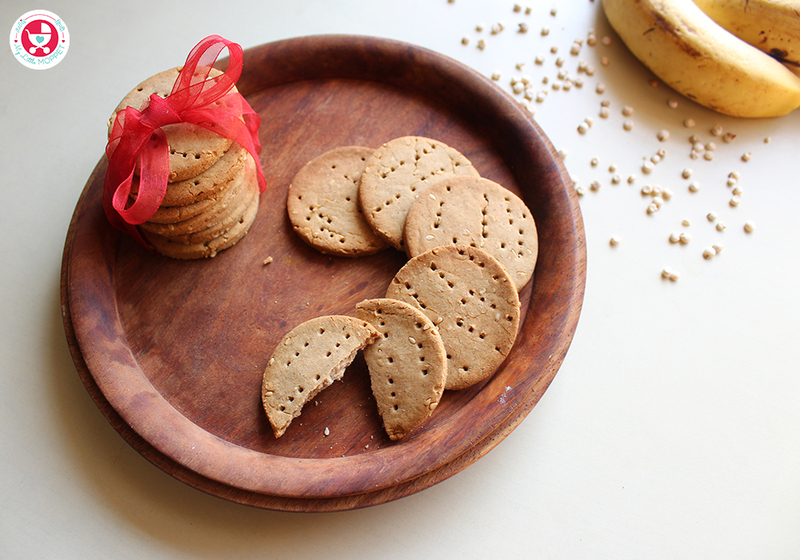 Here is a simple teething biscuit recipe, made using jowar or sorghum. 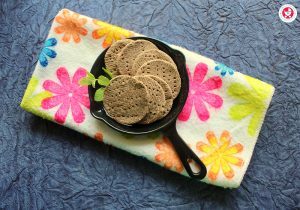 This Jowar teething biscuits recipe is gluten-free, vegan and suitable for babies above 8 months of age. 1. 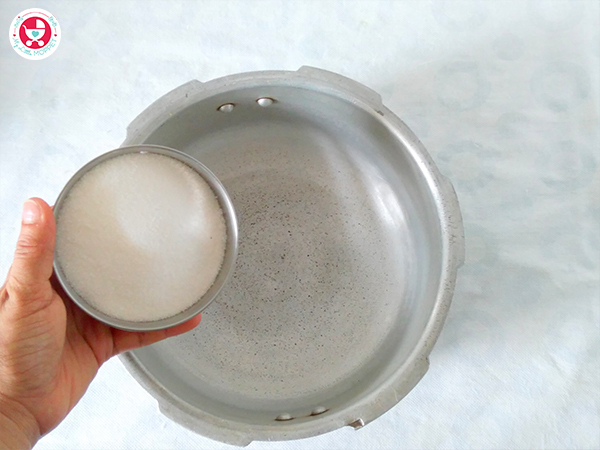 Sieve the jowar flour, oats flour and cinnamon powder into a mixing bowl. Our dry ingredients are ready. 2. In another bowl mash the banana and add oil to it and blend well. 3. 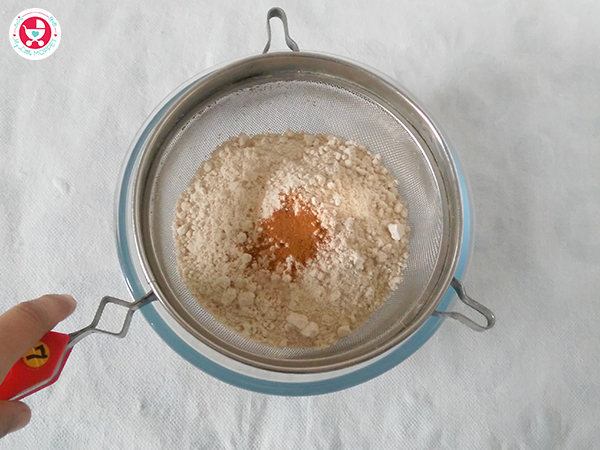 Add this banana oil mixture to the dry ingredients. 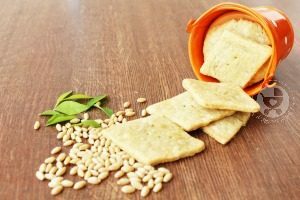 Add sesame seeds and mix everything well using your hands. 4. Knead the mixture to get a soft dough using water as required. 5. Meanwhile we will preheat the pressure cooker. Take a 5 liter wide mouth old pressure cooker. Add 2 cups of salt to it. Place a stand over the salt. Remove the whistle and gasket of the cooker lid. Cover the cooker and heat on medium flame for 15 minutes. If using oven, preheat the oven at 180 Degress Celsius for 15 minutes. 6. Divide the dough ball into two portions. 7. Roll out each dough ball to 1/4 inch thickness sheet. 8. Prick with fork all over the sheet. 9. 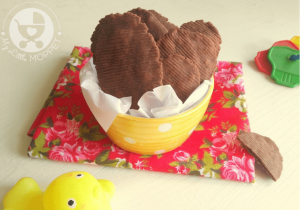 Cut the sheet into desired shape using a cookie cutter or knife. Just make sure the shape you choose , should not have sharp edges, as it may hurt the gums of your baby. 10. 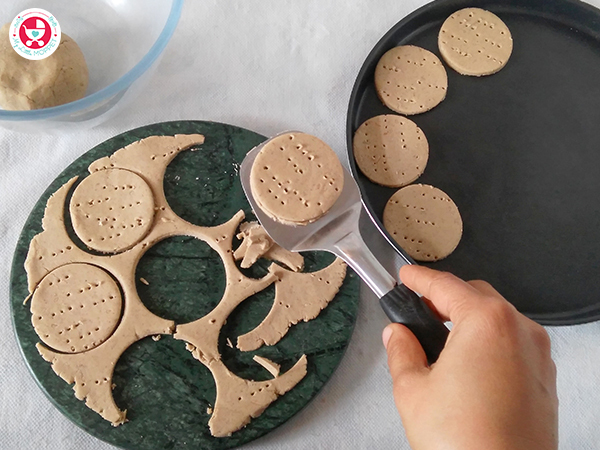 Place the cut out dough on a tray. Keep the tray on the rack of preheated cooker and cover the cooker with a lid for about 25-30 minutes on low to medium flame. 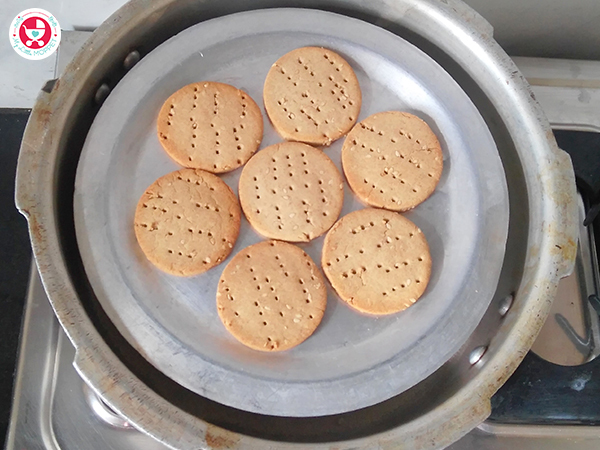 You may bake the biscuits in a preheated oven at 180 Degree Celsius for 17-20 minutes. Keep a watch after 15 minutes as temperature may vary from oven to oven. 11. 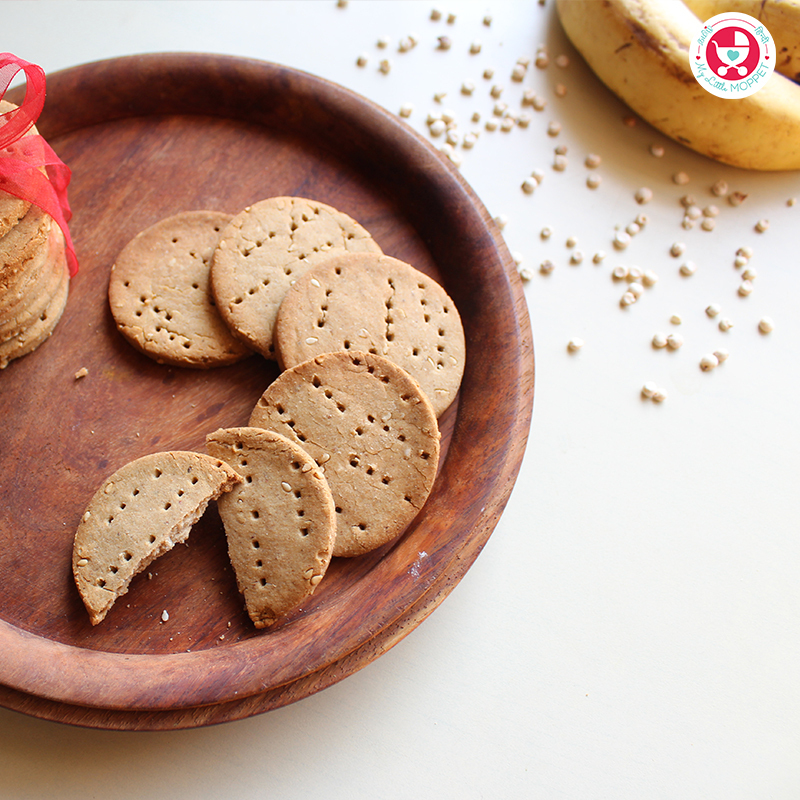 Allow the biscuits to cool down to room temperature before transferring them to an air tight container. 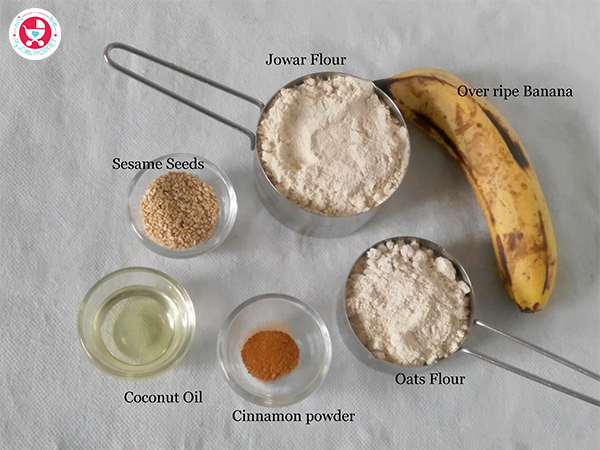 The recipe calls for use of oats flour along with sorghum (jowar) flour , white sesame seeds , little coconut oil and an over ripe banana. I have added a little cinnamon powder to flavor the biscuits. 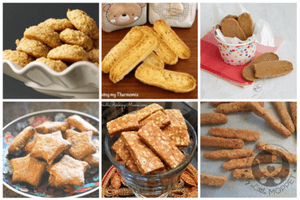 These teething biscuits can be baked either in a microwave oven or cooker. The biscuits remain good for about a week when kept in an air tight container at room temperature. 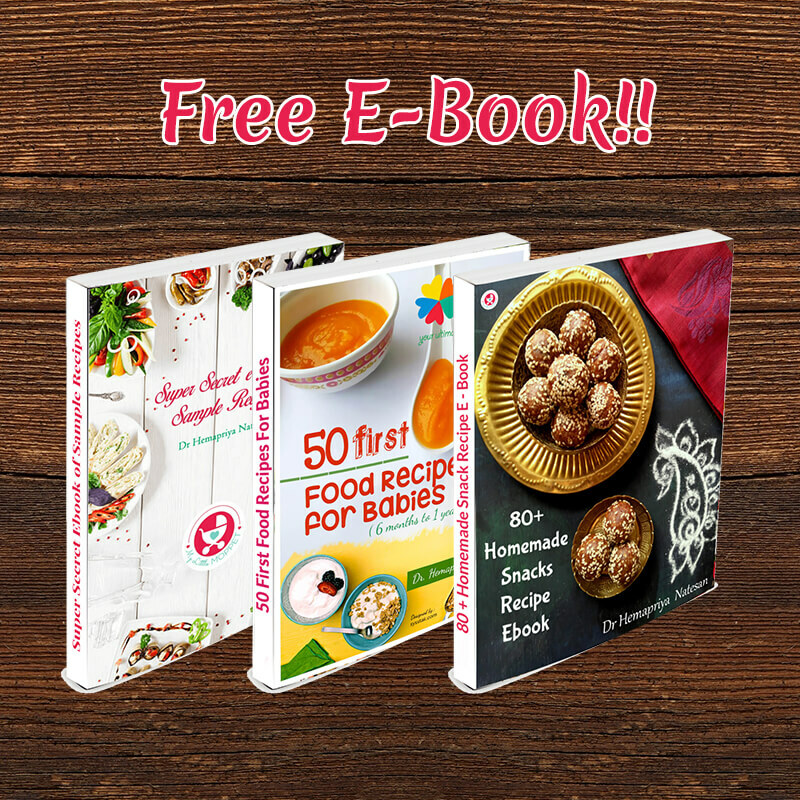 No salt or baking powder is used in this recipe. 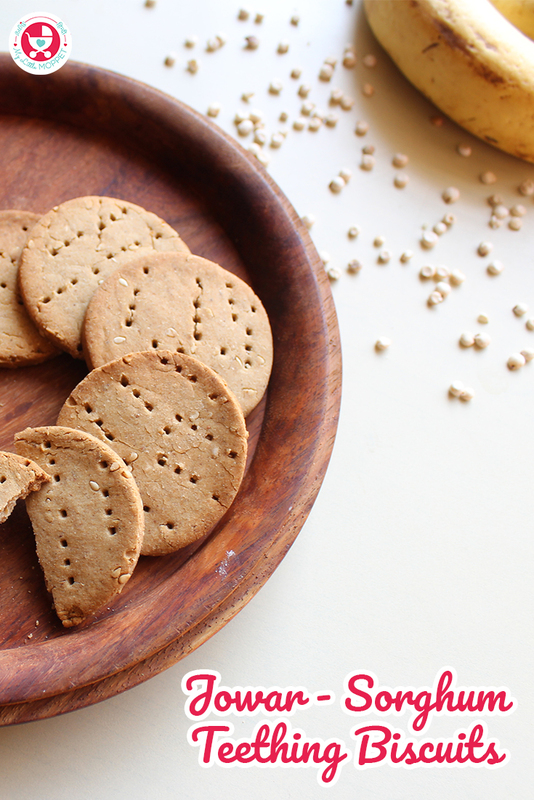 If your baby is suffering teething pains and isn't eating, try these yummy Jowar Teething Biscuits that'll offer both comfort and nutrition. 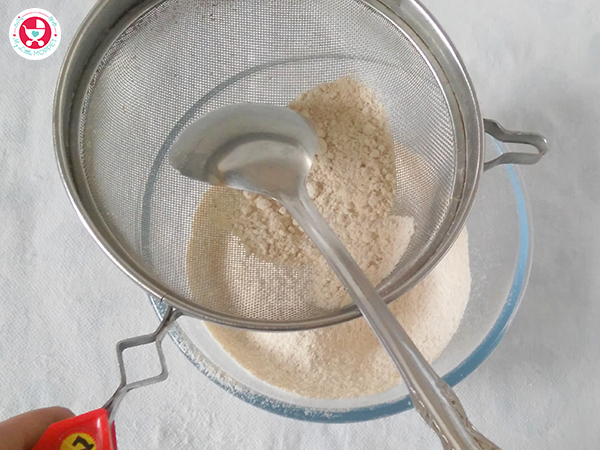 Sieve the jowar flour, oats flour and cinnamon powder into a mixing bowl. Our dry ingredients are ready. In another bowl mash the banana and add oil to it and blend well. 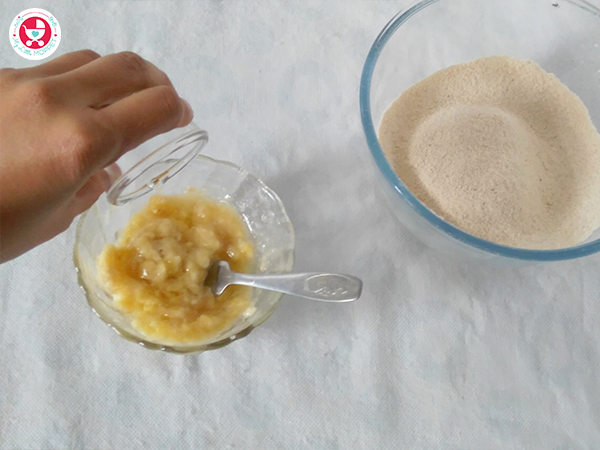 Add this banana oil mixture to the dry ingredients. Add sesame seeds and mix everything well using your hands. 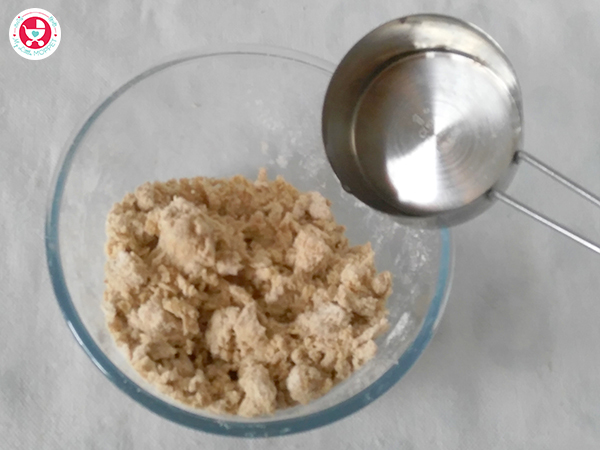 Knead the mixture to get a soft dough using water as required. Meanwhile we will preheat the pressure cooker. Take a 5 liter wide mouth old pressure cooker. Add 2 cups of salt to it. Place a stand over the salt. 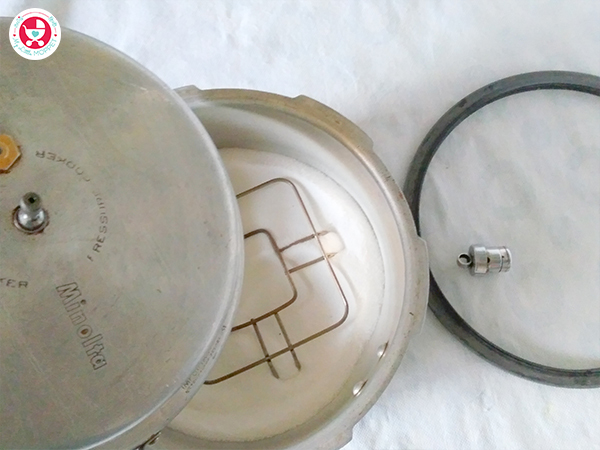 Remove the whistle and gasket of the cooker lid. Cover the cooker and heat on medium flame for 15 minutes. If using oven, preheat the oven at 180 Degress Celsius for 15 minutes. 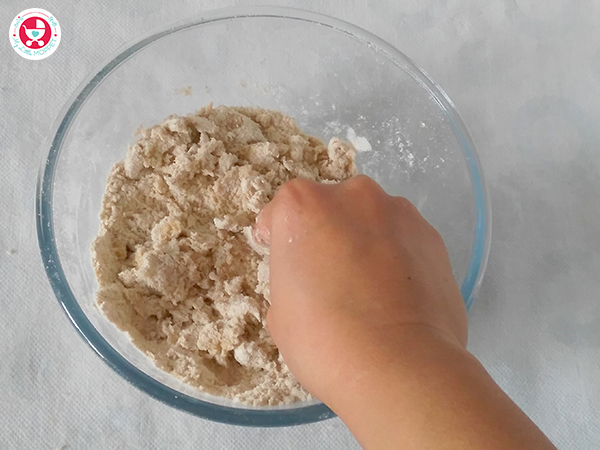 Divide the dough ball into two portions. 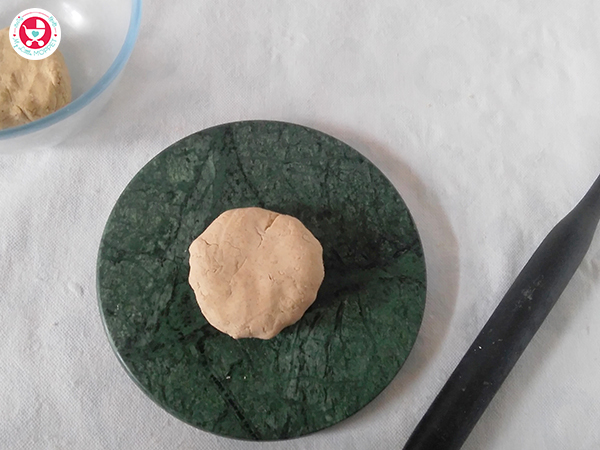 Roll out each dough ball to ¼ inch thickness sheet. Prick with fork all over the sheet. 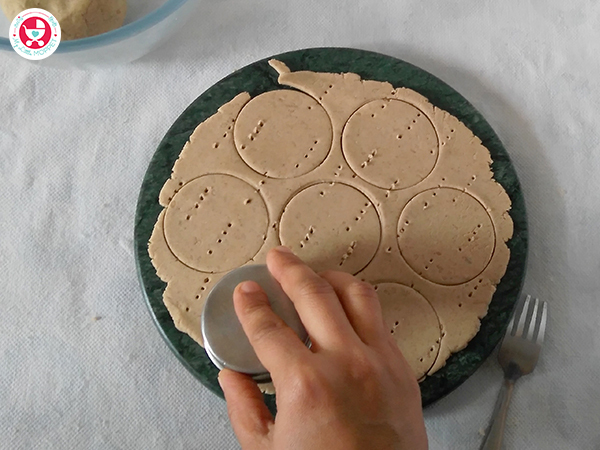 Cut the sheet into desired shape using a cookie cutter or knife. Just make sure the shape you choose , should not have sharp edges, as it may hurt the gums of your baby. 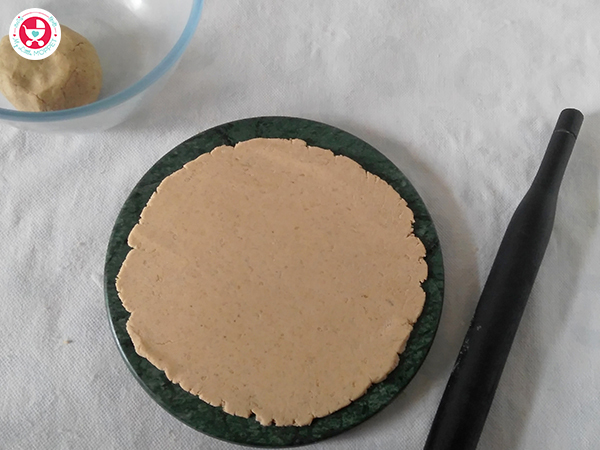 Place the cut out dough on a tray. Keep the tray on the rack of preheated cooker and cover the cooker with a lid for about 25-30 minutes on low to medium flame. 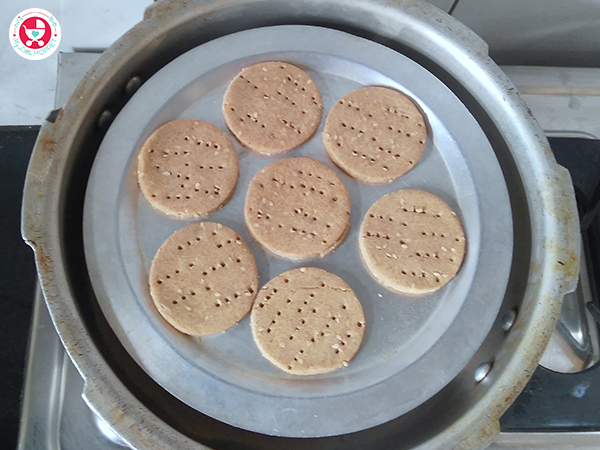 You may bake the biscuits in a preheated oven at 180 Degree Celsius for 17-20 minutes. Keep a watch after 15 minutes as temperature may vary from oven to oven. 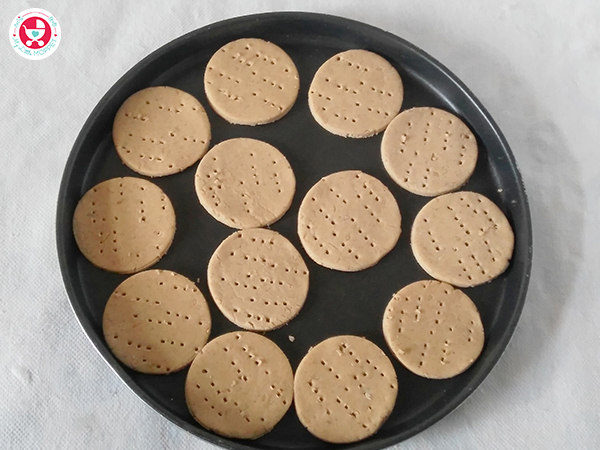 Allow the biscuits to cool down to room temperature before transferring them to an air tight container. Hi can we use jaggery instead of white sugar? Or is there any other substitute? We have not used white sugar or jaggery in this recipe dear. 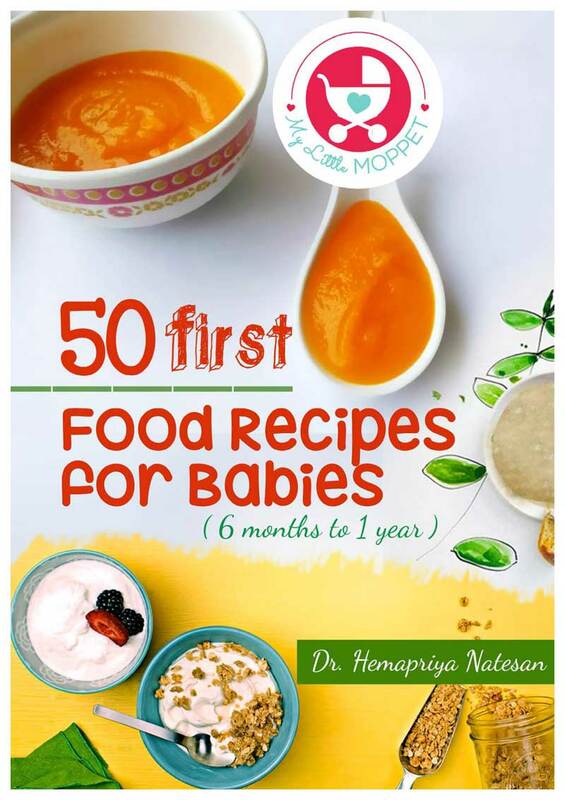 You can use jaggery if baby is above 1 year. Hi…i am just thinking….can we add refine oil instead of coconut or olive oil..? Yes you can add Refined oil instead of Coconut Oil or Olive oil. Yes, you can use jowar and wheat flour instead of oats flour. 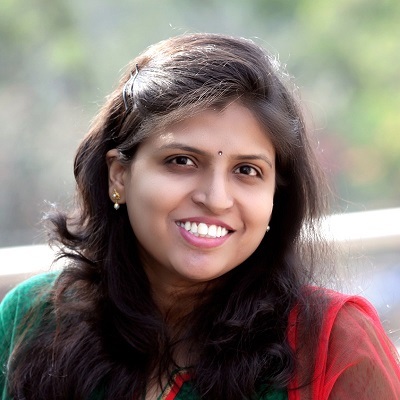 Yes Nitu, you can use Wheat flour instead of Jowar flour and the quantity would be the same as per mentioned quantity of Jowar flour. 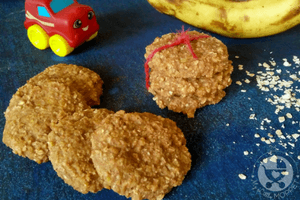 Yes Sumana, You can substitue sorghum with other millet flours too and can create the recipe and can feed it to your child.